CARFAX 1-Owner, LOW MILES - 30,451! E 350 Sport trim. EPA 29 MPG Hwy/20 MPG City! Sunroof, CD Player, Dual Zone A/C, Onboard Communications System, KEYLESS-GO, WHEELS: 18" SPLIT 5-SPOKE ALLOY, iPod/MP3 Input. READ MORE! Sunroof, iPod/MP3 Input, CD Player, Onboard Communications System, Dual Zone A/C. MP3 Player, Remote Trunk Release, Steering Wheel Controls, Child Safety Locks, Electronic Stability Control. KEYLESS-GO Adds chrome to exterior door handles, WHEELS: 18" SPLIT 5-SPOKE ALLOY Tires: P245/40R18 All Season. 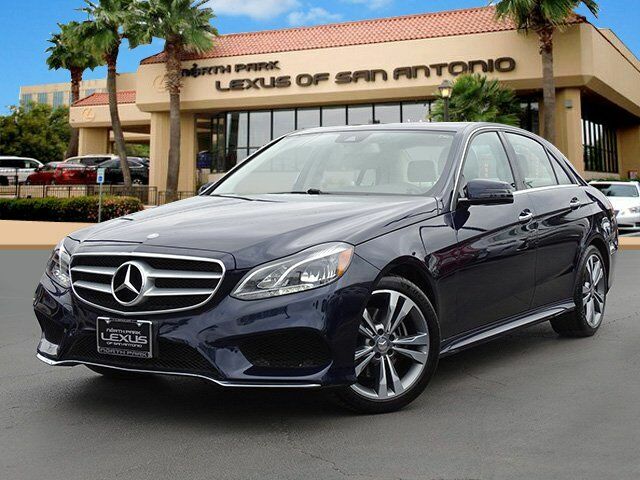 Mercedes-Benz E 350 Sport with Lunar Blue Metallic exterior and Silk Beige/Espresso Brown interior features a V6 Cylinder Engine with 302 HP at 6500 RPM*. Brake Assist, 4-Wheel ABS, 4-Wheel Disc Brakes, Tire Pressure Monitoring System Great Gas Mileage: 29 MPG Hwy. Edmunds.com explains "The cabin of the 2016 Mercedes-Benz E-Class is at once handsome and functional. Interior build and materials quality is excellent, with supportive seats that make it easy for you to take a trip in extreme comfort. ".